Distribute meal, gifting and other benefits electronically on employee Happay cards and help employees claim tax benefits without any hassles. Disburse benefits on employee cards in bulk using excel upload or let the system do it for you on a specific date. 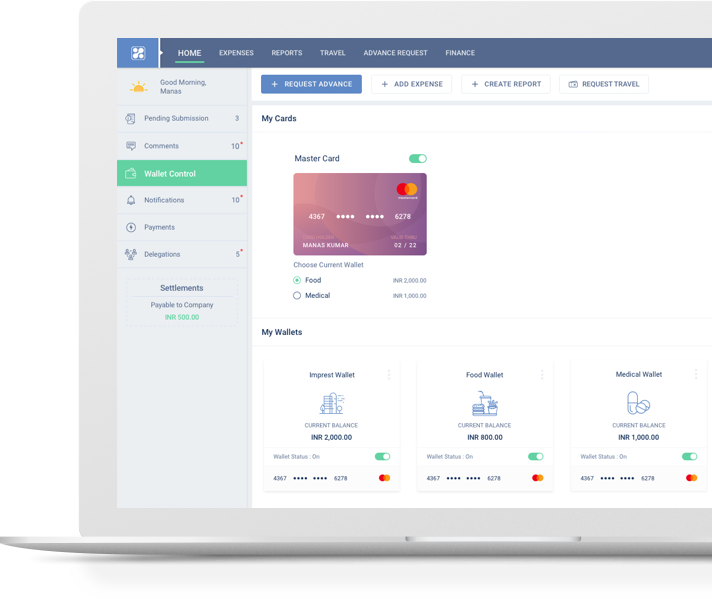 HR teams can push benefits through corporate’s payroll system directly (if required) through simple API integration. Decide at what merchants can meal and gifting benefits be availed using our MCC code configuration. Track all transactions from your passbook summary. Filter and export data as per the parameters you need. Switch from one wallet (food) to another (gifting) based on your spend requirement. If a wallet is not in use or if you lose your card, simply deactivate it from your app. 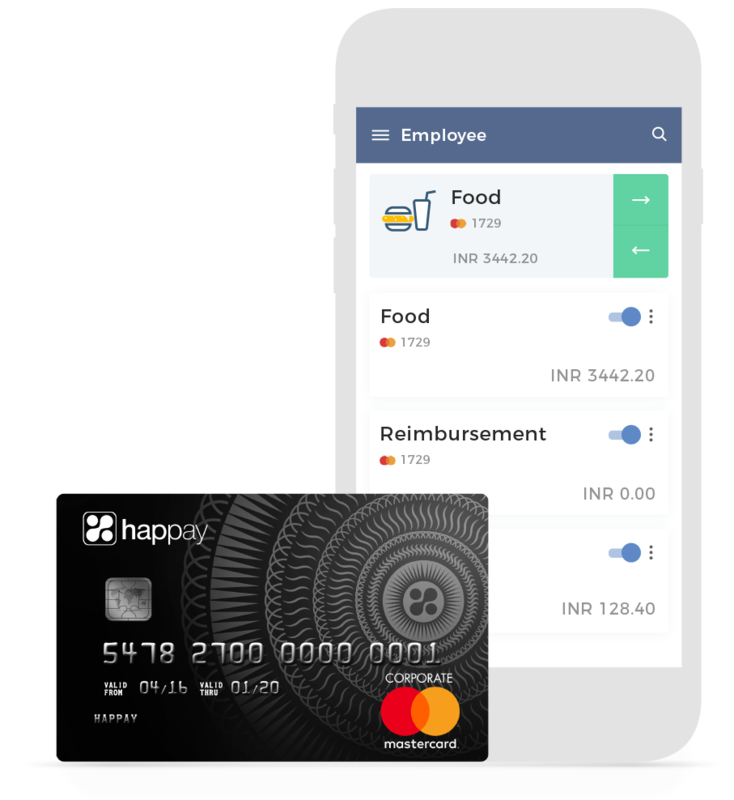 Happay cards are fully compliant with RBI and Income Tax guidelines. Happay is built with multiple layers of security and encryption. All data is stored is highly secure data centers. Happay is a product of VA Tech Ventures. © 2019 VA Tech Ventures Pvt Ltd. All rights reserved. per RBI mandate to promote Digital India.